I fell in love with Organic Gemini’s line of delicious (and of course paleo!) horchatas, so it was only fitting that I get together with Mariam Kinkladze (pictured above with George Papanastasatos, co-founder of Organic Gemini), founder of the company for an up-close and very personal and revealing interview; woman to woman, professional to professional. Hearing the inspiration and story behind the creation of a company and their products is something I always love to hear about and share with you. This gal’s story is nothing short of inspiring. But I’ll let her do the talking. Here’s Mariam! You have quite a personal and touching situation concerning the evolution of Organic Gemini. Please share this with us if you will. When I was 28, my doctor discovered an ovarian cyst. This piece of information changed my life. My fiancee persuaded me to try a holistic treatment first and reserve invasive surgery for the final alternative. I enlisted the help of a holistic doctor and began a diet restricted to food that was raw, organic, Non-GMO, gluten-free, and dairy-free. My diagnosis forced me to look at food in a whole new way! I can now happily report that my ovarian cyst has completely disappeared. Through this journey, we developed a passion for holistic food, for food that is organic and has not been genetically modified, for raw, gluten-free and dairy-free foods. We decided that we needed to spread this learning to as many people as possible. Were you always inclined to be more health conscious? It was a drastic change for both George and myself, we were used to eating whatever we wanted. Suddenly, everything I put into my body had to serve a purpose. Although, I quickly became hooked when I started reaping the benefits that come from following a nutritious diet. I felt invigorated! Out of all the superfoods, vitamins, health foods and such that are out there, how did Tiger Nuts factor into your quest for improving your health? What attracted me to Tiger Nuts at first is the very same reason they are a staple in my family’s diet -they are loaded with iron! How has this one ingredient changed your health and that of others? It has been amazingly helpful for people with digestive disorders and for people who battle autoimmune disease. What can you tell us about Tiger Nuts and some of its greatest and most amazing benefits? As you can tell I am pretty enthralled by this new find of mine. This little tuber has been around for over 2 million years. Our bodies know exactly how to digest it and use it to our benefit! We’ve met with people who struggle with finding food that their body can tolerate yet don’t experience any problems with our products. Tiger Nuts are allergy-friendly and provide so much nutrition to people who have very limited options. Can you share a couple of success stories you have been sent since founding your company? 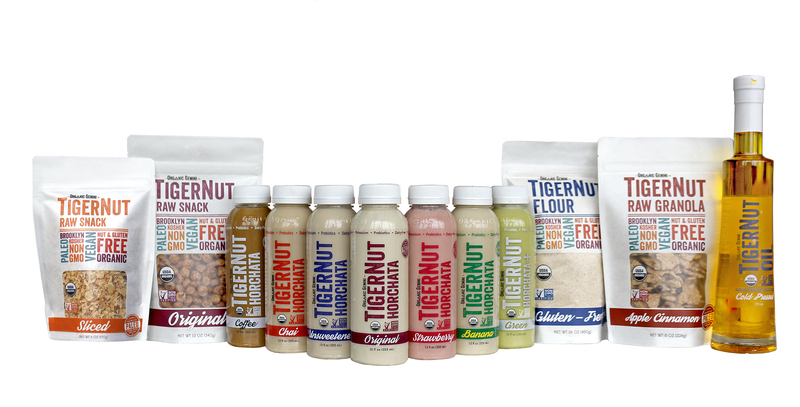 I am aware of the much higher protein content of the TigerNut flour and Horchata from personal use. This obviously has a much better impact on the blood sugar and overall sense of well-being than all the flours and grains used these days. Has the paleo and gluten-free community caught on to this amazing “gem”? Tell us about that, please. Our TigerNut Flour is very versatile. You can use it everyday as a smoothie boost or replace it in any wheat flour recipe. We’ve had customers make anything from pancakes to pizza dough! We’ve uploaded those recipes onto our website for easy access. You also sell TigerNut Oil. Wow, can you expand on this and its direct health benefits? Fats are a hot topic these days. 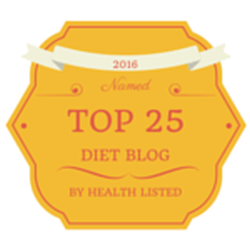 Most of my readers know I love and promote GOOD fats! Our TigerNut Oil is extracted by a cold virgin process so that it retains all of the tigernut’s nutritious qualities. It has a high content of oleic acid and polyunsaturated fatty acid. It helps to reduce bad cholesterol and increase good cholesterol. Also, it has a high content of vitamin E, making it a great moisturizer for dry skin! Where are your TigerNuts from and come to think of it, where are they mostly grown? TigerNuts were the food of our paleo ancestors and they are indigenous to Northern Africa. Now, they are also grown in Southern Spain. Our raw organic TigerNuts are harvested in Niger, Africa and imported through Valencia, Spain. Where is your processing plant and do you oversee the manufacturing? We make all of our products in Brooklyn, NY and I oversee every aspect of production! From visiting and nurturing our relationship with our organic farm overseas to being hands on in our kitchen where we handmake our TigerNut Horchata in small batches. What is a day in the life of Mariam like now with this thriving company and do you find plenty of time for yourself these days? A day in my life would include spending time in the kitchen and coming up with new recipes and flavor combinations. We’re in the growth stage and are always looking for new ways to use this wonderfully nutritious vegetable. Is there anything else you’d like to add or share? Yes! We love to hear from people who’ve tried our products and those who haven’t yet but have some questions. Your feedback is very important to us! Visit www.OrganicGemini.com. I hope you enjoyed this interview! Now enjoy the rest of your day. Also, for all my PaleOmazing readers, Organic Gemini is offering a 15% off discount off the wonderful products on their site: www.OrganicGemini.com. You simply use coupon code “PaleoVegan” at checkout. This code is good now and for as long as you are reading this on my site. A terrific deal!